This is my food web. 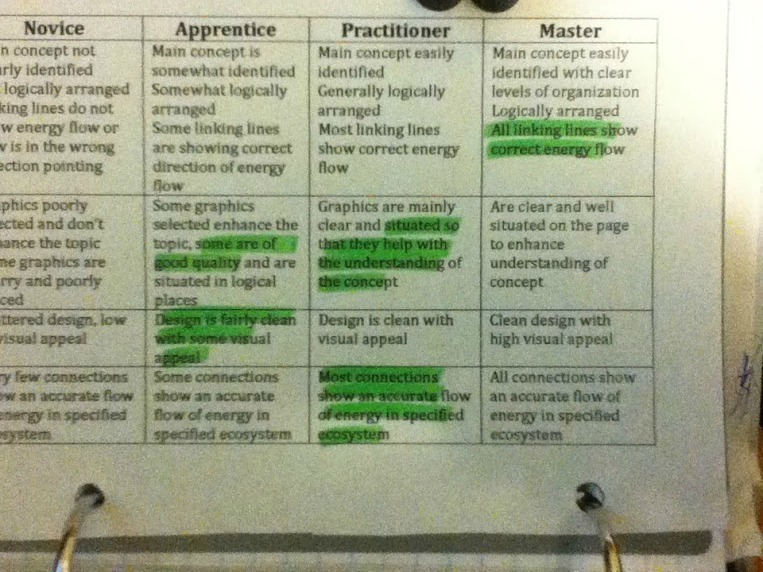 The criteria sheet is below you can only really see where I am . I will post the LI when I can find it. I learned it takes a lot of time to make a web easy to read. You also have rto make sure everyone was connected. Sorry about the photos they are not really good. 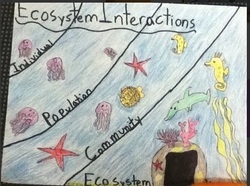 LI: I can create an image/graphic organizer to describe the role of organisms and how they interact in an ecosystem. I am very proud of my science project I got a B-! But to me I think All that counts is if I tried my best and did I learn something on the way? In this project I think I did try my best and I learned lots of things on the way. I am most proud of this piece. I am glad I did not rush it because if I did I would have probably not be very happy with it.